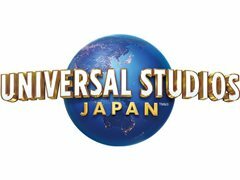 The search is on again for four amazing young talents to join the cast of the Universal Studios Japan Christmas Spectacular ‘VOICE OF ANGELS’ for a 3-month internal contract over the 2018/2019 Christmas season. Please share this information with your extraordinary young performers and their parents and guardians as soon as possible as applications need to be received no later than Tuesday 24th July at 12 noon. We look forward to seeing some exceptionally talented performers again this year! • 2 Male & 2 Female solo singers playing age between 6-11 and no taller than 145cm. • Be able to play between 6 to 11 years of age. • Have excellent singing ability (dancing a plus but not a requirement). • Have a valid passport or the ability to obtain one in a timely manner. • Available to relocate to Osaka, Japan with a parent or legal guardian for up to 3 months over the 2018/2019 Christmas period. • Be willing to work outdoors. • The contract will be from mid-late October 2018 to the second week of January 2019 (Exact dates TBD). 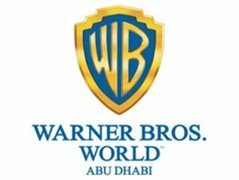 • It is a 25 minute show that plays at approximately 5:45pm each evening and 8:00pm on the double show nights (TBC). The children will share a weekly roster of performances. • Compensation for performers is NET $1112.10 per week (after tax). • There is also a daily per Diem of 4700 Japanese yen per day, per person (the same per diem is provided to the Guardian). • Included in the attractive contract agreement are round trip airfares from your nearest international airport, overseas travellers insurance, housing (for performer and guardian), train passes to and from work, a bicycle and a mobile phone. • Local tutor for monitored distance education sessions to maintain schooling where needed. For full details on how to submit a video audition and registration information - APPLY NOW! Auditions: Are by appointment only. Initial video submission must be received no later than 12 noon Tuesday 24th July 2018. Call back auditions are will be in late July and early August.